Ray E. Helfer, a pioneer in the prevention of child abuse, died on Jan. 27 1992 at the age of 62. Dr. Helfer, a pediatrician and educator, helped research the origins of abuse and neglect and also developed methods of detection, treatment and prevention. A crucial finding was that most abusers are themselves victims of childhood mistreatment, in a cycle passed from one generation to the next. He and a colleague found that abusers had unrealistic expectations of children that led to frustration and abuse, and that those expectations were rooted in their own early feelings of worthlessness. Because abuse was widely ignored, he campaigned to alert doctors, teachers, social workers and others to spot its symptoms. He also pressed to require that likely cases be reported. In treatment, Dr. Helfer fostered teams of doctors, psychiatrists and social workers for both children and parents. He encouraged giving help to abusive parents and using civil rather than criminal proceedings to place children in safe surroundings. He also conceived the Children’s Trust Fund, an organization to prevent abuse that has been included as a voluntary check off on income tax forms in most states. Dr. Helfer testified at trials and legislative hearings, was a consultant to government and medical agencies, appeared on network television and wrote dozens of journal articles. His best-known book, “The Battered Child” (University of Chicago, 1968), which he co-edited with his mentor, Dr. C. Henry Kempe, was the subject of a documentary of public television in 1969. The New York Times said “this is a rough book, but a hopeful one” and called the documentary “a spur to action.” That book and another one on which he collaborated with Dr. Kempe, “Helping the Battered Child and His Family” (Lippincott, 1972), are considered classics on the subject. Recently Dr. Helfer was finishing his fifth book, “Mothers in Captivity,” comparing human child abuse to abuse of their offspring by captive primates, a project begun at the Rockefeller Center in Belagio, Italy, that his family and colleagues will prepare for publication. He had received awards from the American Medical Association, the National Committee for the Prevention of Child Abuse and the International Society for the Prevention of Child Abuse and Neglect. 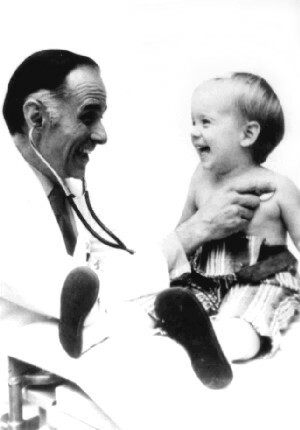 Since 1971 he had been at Michigan State University as a professor of pediatrics and human development, then acting chairman of the department of pediatrics and human development and later associate dean of the medical college. Earlier, he worked for the United States Public Health Service, taught at Temple, was the research director in health science education at the University of Colorado and was chairman of pediatrics at the Catholic Medical Center of Brooklyn and Queens.